Bike of The Year awards, Group Test Wins and UCI racing success- what makes a winner? The EC130-E takes no prisoners and has shown a clean pair of the heels to the competition in every bike test. It has delivered clean sweeps in head to heads and won Cycling Weekly's prestigious Aero Road Bike of the Year award for 2017. It's a winner and the most lusted after bike in our line-up. 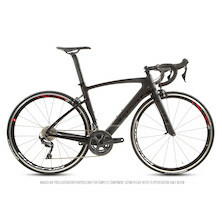 The EC130-E has also found favour with committed cyclists who put in big miles but don't compete. It's an aero bike that's still perfect for the climbs, its pedalling efficiency shining through to confirm mountain goat status on it. If you want a fast bike that rewards your hardest training efforts with improved results book your flight on the EC130-E. The RT-80 has won its awards where it counts, on the road. Raced across Europe by Zappi's Pro Cycling and put into duty in Viner Mitus 0.6 livery by Team IDEA 2010 it has taken 1st place in multiple stages of UCI Pro Continental races. It's a classically proportioned road bike that's simply loved by everyone who has thrown a leg over it. The RT-80 is a top-flight sports and racing bike, designed using advanced technology and expertly hand-crafted from high-quality Toray T800 carbon fibre. Aboard the RT-80 you'll ride faster, farther and in more comfort than ever before. Whether you're taking on epic sportives or doing battle in the race league, the RT-80 elevates your cycling to new levels. Cycling Weekly tested it and came to the following conclusion. We're certainly not going to argue with them, they know their bikes. The big question is which bike are you, lust or love? 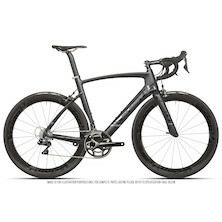 Powerful high-tech aero road bike or classic lightweight UCI race proven? Both of them are winners.